Another great release from brutha Coflo. Track 1 -Gazin: Gazin hits the digital shelf with a atmospheric journey that asks you to leave your current state of consciousness by taking a magic carpet ride made of sub frequencies and pipe flutes. 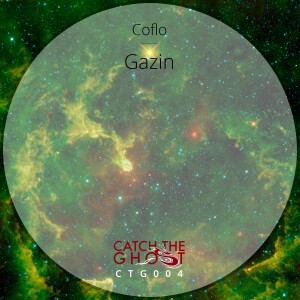 Track 2 – Gazin (For the Cypher remix): A more dance floor version, to get the cypher moving, remix by Coflo. Track 3 – Gazin (Cecil Beatdown): The big brother to the Cypher remix, a dance floor journey remixed by the Bay Area’s DJ Cecil. Track 4 – Gazin (Cecil SoulMojo Beatapella): A great DJ tool from the Cecil Beatdown mix.